Composed in 1916, The Fall of Gondolin is, as J.R.R. Tolkien himself calls it, "the first real story of this imaginary world." It is a story of the Elder Days featuring Elrond's grandfather, Tuor, and his journey to find the hidden Elven city of Gondolin. But just as there is in The Lord of the Rings, an evil force is growing stronger. Morgoth, or Melkor, is bent on finding and destroying Gondolin. As he plans the city's destruction, Tuor tries desperately to defend it against the inevitable and terrible attack of Melkor and his army of orcs, balrogs, and dragons. 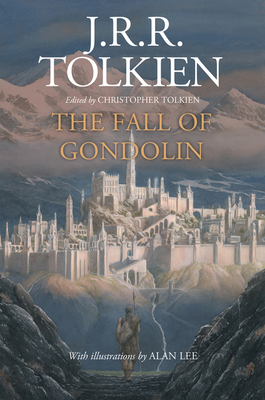 The Fall of Gondolin is one of Tolkien's great unfinished stories. Utterly beautiful and devastating, this is a book that belongs on every Tolkien reader's shelf.